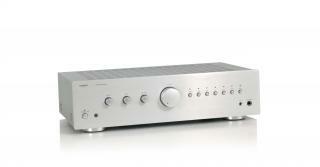 The AMP 200 from the Tangent Hi Fi 200 sytem is one of four components in the 200 series. The mighty AMP 200 deliver playback power from it's twin 100 Watt amplifiers. A subwoofer output and manually adjustable crossover filter allows you to fine tune performance preference to your liking. The four gold plated speaker terminals secure an optimal speaker connection and sound in all external speakers.